Four months in Peru – Visa renewal! 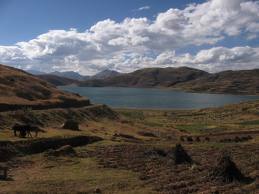 Yes, it’s been almost four months that we are in Peru! Because our visas expired two weeks ago and we had to cross the border. I had to travel to the US for work and I was away for almost four weeks. It’s been very difficult emotionally to be away from hubby and kids for so long. I am grateful for having been able to work and visit my kids living in the US and combining business and pleasure as I am accustomed to. But, anyway, I returned from my business-pleasure trip and the children’s and hubby’s visas were about to finish. What happens is that we can get a visa for 3 or 6 months and then have to leave at least for 24 hours and re-enter. 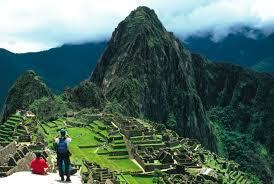 People who stay beyond their visas are fined a dollar a day at the airport, when they ultimately leave Peru. So we decided to go on a little trip to Bolivia, since it is the closest border. It is an 11 hours bus ride, one way! We packed sandwiches and proceeded to pack for the kids and left for 2 days. The bus ride was actually much easier than I expected. It was a night ride and the bus was supposed to be a ” Cama bus” (meaning a bed-bus) but it ended up being a “Semi-Cama” meaning that you could lift your legs a bit up and lower your seat a bit too. Departure was 10:30pm, so we all slept – somehow.. My 13 yo Naomi couldn’t sleep and later told me that she saw the most beautiful sky, completely covered with stars! What a sight! We checked in in an “Israeli Hostel” called Lobo. The reason it is an Israeli hostel is that 99.99% of people staying there are Israelis. All young Israelis after the army traveling around South America, very much like the large amount of Israelis (I call them Israeli kids) who end up here in Cusco. The water in Bolivia is bad just like here, and we have to boil it first. Many of them don’t care to do that, and this fact combined with them eating garbage treiffe food from the local restaurants causes them to have digestive problems, which they have no problem describing in loud voices over Skype. Plus, they feel free to vomit all over the bathroom floors and stairways. Besides that they were adorable! Some of them knew us from the post Yom Kippur party. Some knew our older sons from their previous stay in Cusco. It was definitely a nice feeling and the kids enjoyed the company. We also went shopping for clothes, I believe it is one of the cheapest place in the world for shopping. We were often stopped in the market due to people complimenting how beautiful we are! (I forgot to say that the Bolivian are, well..not so nice looking, if you know what I mean). 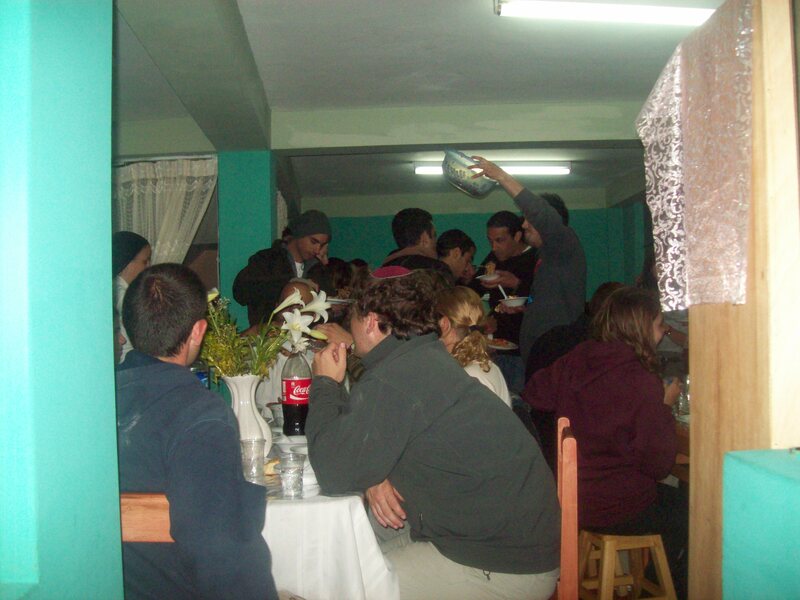 We had our meals at the local Bet Chabad, and met a young couple who are Shluchim in Argentina. The Chabad La Paz is operated by a very nice and friendly Israeli couple with two babies. The whole family is blond.They have been there for only three months and seem to adjust very well. 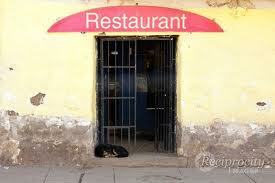 Unfortunately, they have no chicken and no meat so they only serve fish. Fish balls, fried fish, fish stir and fry. The kids enjoyed french fries and pasta too. Hubby took them out to the movies at night and they had a wonderful time. Otherwise, the city of La Paz which is even higher up than Cusco, could of enjoyed the same spectacular mountain vue like Cusco, if they wouldn’t of built tall buildings all around the whole city. So the vue is limited to occasional “patches” of vue here and there. Also, crossing he street is almost impossible as they never stop for pedestrians..and it is busy streets full of traffic and old buses (like three buses ago in Israel, if you remember). I was happy to come home. I forgot to say our 4 yo also had Shilshul (look above for translation), which gave me some anxiety since we are not allowed to “make #2” in the bus back to Peru – remember, 11 hours?! Well, it all worked out beautifully. On the way back, despite the fact that there is no direct night bus from La Paz to Cusco, we were offered a Cama Bus for the price od a Semi Cama (yes, a miracle) and guess what? Now, you are talking! Your feet go all the way up and your back all the way down plus, you are allowed to make your #2 in the bus toilet, what a dream!! They put some movie on…oh my oh my! It was a Mexican comedy featuring the story of “homo-zecsual” couple adopting a boy. I had to turn around every 15 minutes and scream at the kids to close their eyes!! Anyways, we made it! Plus, I succeeded in convincing the immigration clerk that we need a 6 months visa this time, and we got it!!! Oh, it’s so nice to be home. Coming Soon: Chanukkah in Cusco -Peru. So…we watched a fantastic production of “Project Inspire” a few days before Yom Kippur, called “Wiping a tear”. After watching this we decided to bake a dozen of honey cakes and distribute them to the many local Israeli tourists, with an invitation to break the fast together. So here we were, me, my DD13 and DH and me, downtown, carrying a box of cakes and going through the local hostels and asking all Israelis where are they after the fast. Seing my demeanor, they all replies, although with some noted hesitation:”In Bet Chabad? !” so I reached out and invited them. It was funny to see many other tourists eyeing my cakes, hoping it was for sale! After the fast, which went well, besides DD13 fainting in end of Neila, we went home and hoped for someone to show up. I have to admit I was on the pessimistic side, thinking that not too many will show up if any. By measure of precaution, though, I had arranged for Leonor to come to work from 6:30 to 9:30 to help me in the kitchen (The fast finished here at 6:15). My husband and a few kids were even waiting outside just in case someone needs help fining our house. I sent my other worker, Ingrid, with a few ivitations left, to hand out by the Isralis stepping out off the shul. Surprise-surprise, she came back with a LOAD of people!!! I actually couldn’t close the door of the house as more and more people were showing up!!! My son who was outside, later described it looked like a bus load of people (even if though they were walking). We got real buzy in the kitchen batches of pizza in and out the oven, making spaghetti, warming up soup…And then when I thought everything was under control, another group of people whowed up!! All together was about 60! Such nice sweet people, they were thanking us the whole time, one even offered payment (no way!). Iwas very happy, specially having made everyhing in advance (pizza dough, homemade cheese and sauce etc..). If you like my blog, click on FOLLOW (up). That’s how my 6 yo son, Benjy, asked Ingrid, our helper, if he was going outside! The younger kids are starting to speak a bit of Spanish, as I heard my 4 year old yesterday telling Ingrid:”Agua! Agua! I want Agua!”. So, I decided to teach them some basic vocabulary and we are putting this on the list with other homeschool topics. The language is definitely a change, just as much as the mentality, of course. Last Sunday we all went to a Dog Show. Yes, you read right! Me go to dog show! (I don’t even like dogs, besides Bentley, of course, even though I probably could tell the truth here, as I highly doubt that Bentley follows my blog, right?). At least our kids enjoyed it, as well as the Luna park on the premises, with a HUGE slide. For the kids to slide down, they had to first climb up about 50 feet and then slide down. While our kids were quickly into it, and immediately gasped the concept, there was a little 3 year old Peruvian boy who seemed afraid to climb up. His dad, who paid a whole 35cents was, well, kind of frustrated and kept yelling towards his son:”Sube, Lorenzo, Sube!! !” (“Go up, Lorenzo, go up!”) I tried to ask our kids to give Lorenzo a gentle push, nothing did it. Lorenzo’s dad, after 10 minutes of pointless coaching finally pleaded to the lady who sold him to ticket to, por favor, intervene. She dropped everything (even her shoes) and went up, firmly holding Lorenzo’s hand and giving him no other choice. Whaooo!!! Wasn’t Lorenzo in for a surprise as he sled down! I thought he was going to have a cardiac arrest! Poor dude! On another topic, Rosh Hashana went really well, thank God! I realized just the day before that we were going to cook all the meals at home. I made our own mozzarella cheese, grape juice, cakes and pies. (I am not a fan of his haircut but I like his cheese. In MY house, in HIS I would be too nervous of find some of his hair in my pizza). Anyway, we are getting accustomed to our new life and I even opened my factory last week and after spending a week of hiring and firing, I now have a fantasic team. Nice ladies and all. However, I would pefer to bypass the “hello -kiss kiss-business”, it is not exactly to my liking to kiss ladies 16 times a day, not even speaking of the germs…(It wouldnt bother me if it was guys, as long as they look good, that is). Soooo, I have finally found a “trick” : I make sure to keep myself very BZ and very far from the door when they walk in and I am “Patur” from the kiss. When they leave, I do the same but sometimes it doesn’t work as they walk towards me and of course I get the hint – I don’t want to hurt their feelings. I guess after spending a whole day with me they are determined to force a kiss of freedom. The kitchen helpers (Leonor in the mornings and Ingrid in the afternoons) are also getting accustomed to us. It took me a great deal of patience to teach them all about not mixing the Milchig and Fleishig. I finally told them that for me it’s like loosing $5,000 and now they finally got it! I am now baking small honey cakes to distribute to Israeli tourists together with an invitation to break the fast with us. We will see how many show up. (Hopefully not sixty). If you like my blog, click on suscribe. Known as the “Square of the warrior” in the Inca era, this plaza has been the scene of several important events in the history of this city, such as the proclamation by Francisco Pizarro in the conquest of Cuzco. Similarly, the Plaza de Armas was the scene of the death of Túpac Amaru II, considered the indigenous leader of the resistance. The Spanish built stone arcades around the plaza which endure to this day. The main cathedral and the Church of La Compañía both open directly onto the plaza. 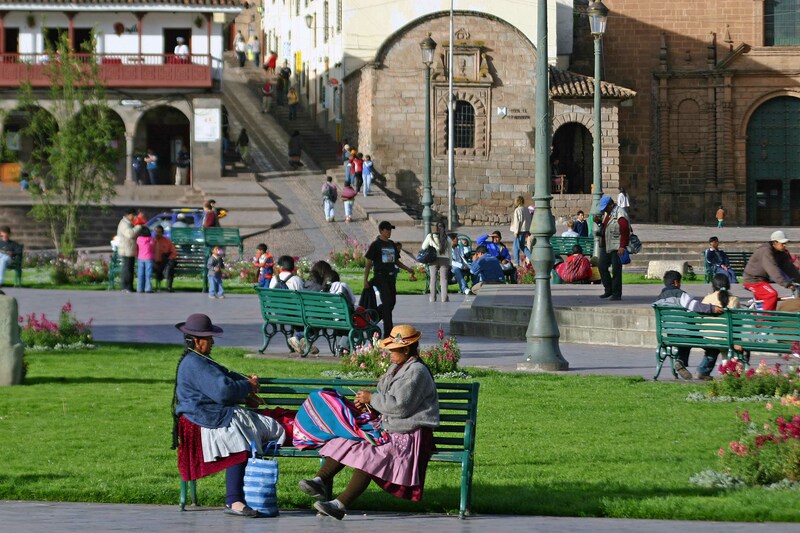 Plaza de Armas reflects the full magic of beautiful Cusco! While in daytime, this beautiful Square is the favorite place for many locals to seat on benches and relax in the harmonious scenery, as soon as the day fades away, the night envelops the horizons and within minutes all is turned to magic! Plaza de Armas is by far one of the most romantic and pleasant place to go for a night walk or go for a cup of coffee or tea in the numerous terraces surprisingly perched on top of the architecture. We had a fantastic day this past Sunday. My Spanish is barely fluent, but on the phone it is somehow harder to understand. I still asked her why she needs a taxi, since I know she lives 2 blocks from me…(I have to admit, I thought she was making excuses). She then explained that she is bringing us the frig’!! Yes, the one we are buying from her BZ friend. Sure enough,ten minutes later, she showed up with our new and absolutely necessary addition – our fidg.The cost is $90 for the fridg,(bigger and taller than our American one) $2 to bring it in the taxi and another $4 offered the two guys who graciously brought it to our doorsteps. 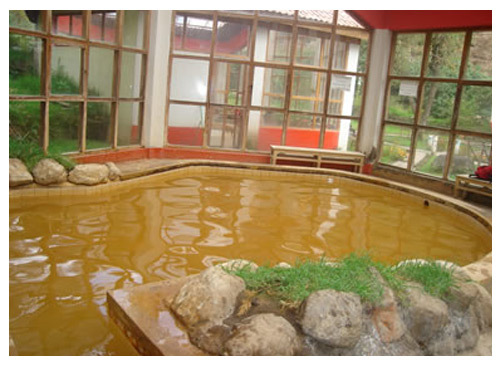 We had decided to visit hot mineral pools of Machacancha, as part of doing trips with the kids, this Sunday. Unfortunately, our two older daughters did not share our enthousiasm at all, after they understood that the water is as dark as cafe au lait!!! Our two sons, DS4 and DS6 were very excited to come with us, as well as DD9! We happily jumped into a cab to the “departure station” and luckily found there a local man in is fifties, Victor, who offered to take us all the way there for $10. So hop we went into his nice car/van/pick up and he excitedly made conversation all the way with DH. They really hit it off! Both are “go-getters” and adventurous, and when my DH mentioned about buying a live lamb, in order to make Shchita (ritual slaughter) he gladly went out of his way to look for a sheppard who would be interesting to sell us an animal! That means that we rode on top of narrow mountains, looking for shepherds and at this point I felt like in a movie! We actually stopped and got off the car twice. First, when we saw a lot of action around some cows, as well as announcements made on microphone to a small crowd gathered nearby (near the cows – that is). At that point, my appetite was getting wet and I cajoled the fantasy of having a freezer full of ribs, steaks and roasts..
To our surprise and disapointment, it was a competition for the most beautiful cow that was taking place, and each cow was carrying a number on her chest. Needless to say, we asked for the price of a cow, and the beauty was expensive even by American standards! Well, we reached Machacancha, and to our additional surprise, our dear Victor (we were old friends by then) took all his clothes off and jumped into the water in his red boxer! He looked very happy to have found these “American tourists”, and he was in a very joyful mood with us. The way back was again up and down narrow ways carved in mountains and the beautiful scenery was only disturbed by our two sons asking repetitively if we are going to get animals. By then they placed their orders of cows, lambs, and even chickens and roosters. These two cuties thought that all this company was somehow going to fit into the back of Victor’s pick-up! The unbelievable landscape was somehow taking my mind away from the awkward driving conditions, up and down narrow paths and sometimes even kind of – well – a dangerous ride. At a certain point, persevering Victor decided to go uphill and find maybe another shepherd who might want to sell us one of his flock, (this guy never gives up!!) but not to avail, he decided to make a U turn. The only inconvenience was that there was barely enough room to do so, and also, by the way, we were on a narrow dust road some 3.500 feet high. That was a bit too much for me and in a sheer moment of mother’s instinct, I unbuckled my kids seat belts and told Victor that we need to stretch ou legs for a few minutes. We jumped for our lives, although I tried to hide my overwhelming feeling of terror from my little ones, to prevent if possible, any consequence of future anxiety disorders or even panick attacks! Victor managed quite alright I would say, as the real “mountain man” that he is. I got to observe him later on, climbing up a hill within seconds, demonstrating an amazing agility and flexibility. Back in the car and still driving thru the mountains, the smell of eucalyptus was both delightful and invigorating. As I mentioned my thoughts to Victor, he immediately stopped the car and ordered my husband to pick several branches. Still fasten in his seat belt, all DH had to do was extend his hand and pick. At that point I thought of drive thru services in the US, such as ATM and the likes and I thought that this “drive thru Eucalyptus” is definitely my favorite branch service! DH and Victor became even more friendly another hour later, after having heard all of his life including his recipes for eucalyptus tea (“a savor of Eden” he claimed) and his description of the various potatoes and what to cook them with, each one respectively. The way home was safe – Thank you God! And after paying our dear Victor 120 soles for this special day (about 34 dollars), we exchanged phone numbers and promised to stay in touch and go on future Sunday trips together! 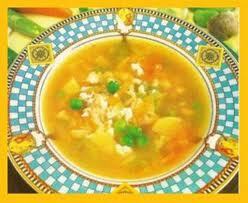 Everything is preceeded with the same adjective:INKA. The coke is Inka cola, the restaurant is Inka grill, bank is Inca cash, etc..etc..
And in the middle of all this patriotism, some Peruvians give Israeli names to their kids, such as Shany, Shiran, and even Itzchak Rabin (both as a first name -in case you are wondering). The neighbor of the Chabad Shluchim is a little 8 year old boy with payos!! He thinks it is a nice hair style. His brother answers to the name of Akiva! The young couple in charge of the hostel we stayed at speaks fluent Hebrew and greeted us every morning with a warm: Boker Tov! I checked the local classified today and someone is selling a “Shawarma Maquina” and the laundry place proudly displays in Hebrew letters: “Hamachbessa Haachi Achi” (the best laundry place, brother). Of course all this gives us a comfortable feeling. As of the family, we are going to send our two youngest to school tomorrow, from 8:30 to 1pm. 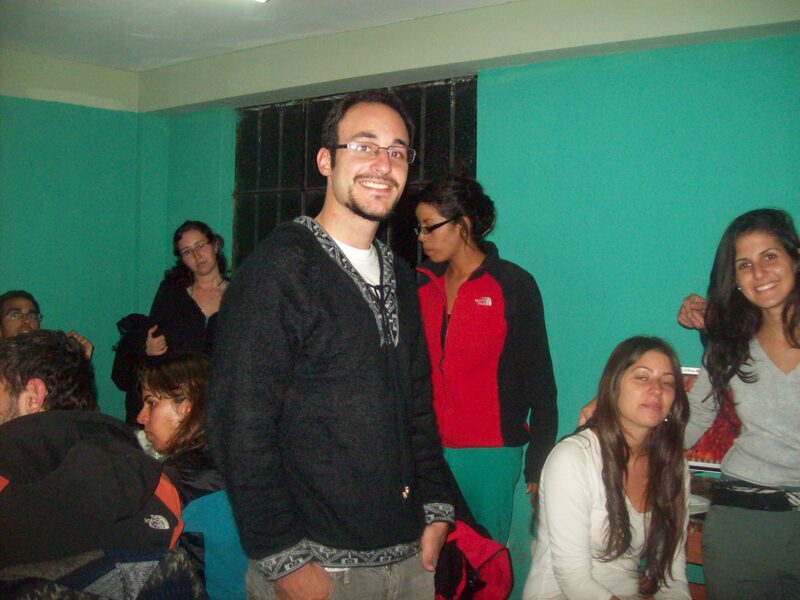 The director of the kindergarten around the corner from our house taught in the Lima´s Jewish School for two years. She speaks English and has invited me Friday morning to teach the local children about Shabbat. We are looking forward for these two to socialize and start speaking Spanish within a few weeks. We now have officially started homeschooling the children and enjoy full time housekeeping help, courtesy of Leonore from 8-1 and Ingrid from 2 to 9pm. By the way, I taught her today how to make a Bechamel and she scrubbed the oven very clean – we will Kosher it tomorrow. Me and the girls went to get our eyebrows done for a dollar a piece and we went shopping for vegetables this morning in the open market. The view from our bedroom is breathtaking and the only thing I now miss is Internet services -we will be connected in a few days. PS- If you like my blog, post a comment!